Last week, I asked a group of Year 8 and 9 students which school trips they remembered. Unanimously, they said they remembered every single one of them. Our Primary camp weeks are coming up fast, and as someone who is both a teacher and a parent, I wanted to remind you how important the experiences our children get from going away with their friends and teachers are, and why they are a compulsory part of our school curriculum. 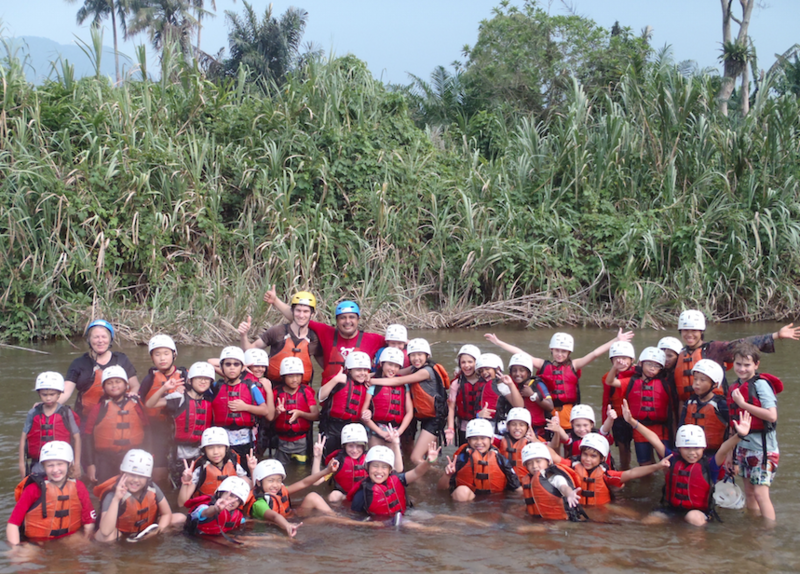 I often help brief the parents about sending their children away on our residential camps, and have been in the jungles of Borneo, Gopeng and Ipoh myself with the children, so know exactly what they are in for, and it always makes me really excited as a teacher to be able to offer such great experiences. I am a parent too, and on reading the email above from my own child’s camp, my maternal instincts cut in. My son is only 10, surely he isn’t really old enough to be sleeping in the jungle in a hammock he has “rigged” himself? My son, who can’t manage to get his own dirty clothes into the laundry basket, let alone off the floor… he can’t be? To most ‘Ten-agers’ though, camp, is as normal a part of school as music, maths or mandarin, but us parents still worry about our children tramping through the jungle, building traps, and squashing into hammocks above ants and spiders. So perhaps the point of camp is as much about us and starting to let our children go as it is about the learning and excitement they will get from going? Sense of wonder! Children can’t get that in a mall mock up, but in the mythical jungles of Borneo where headhunters still roamed until the 1960s, they really do. There’s real indigenous tribes, blow pipes, spiders, leeches, raging rivers, and dirt. Not virtual Minecraft dirt, but fallen from a thousand year canopy dirt. Learn from your guide, work as a team, build your shelter well and tie your hammocks tight or you’ll be sleeping in it, dirt. You can’t recreate that, it is something that can only be learned from experience.